Madison + Mason are engaged and currently planning the details of their wedding! 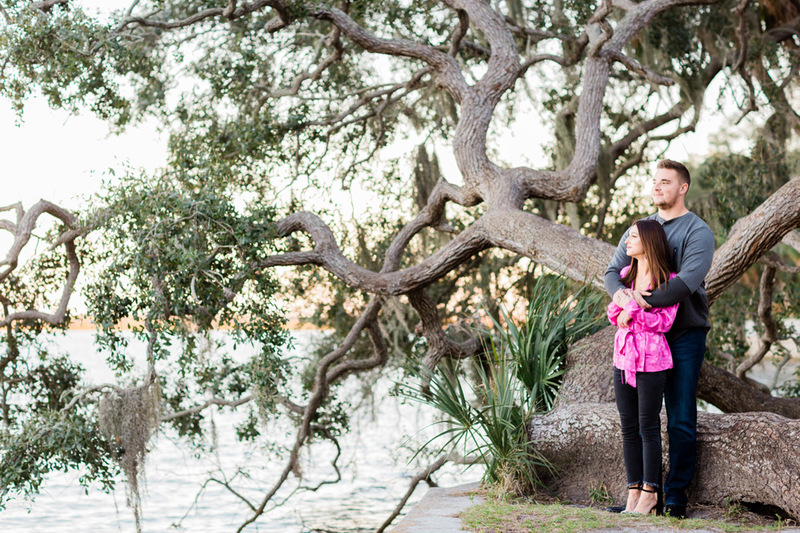 We were so happy to get to meet up with them at one of our favorite locations, Philippe Park in Safety Harbor, for an engagement session to capture this special moment in their lives! Our Master Photographer Amy was there to capture these engagement portraits of Madison + Mason, and we think she did an amazing job! They were such a sweet couple to work with, and we can’t wait to celebrate with them on their wedding day next year! We love how sweet and romantic Madison + Mason were right from the start of our session. It was so clear that these two love to be laughing and spending time with each other! The gorgeous sunlight in this image just makes us feel all warm inside! We love how great it goes with the connection between Madison + Mason! Congratulations on your engagement, Madison + Mason! We loved getting to know you better during your engagement session, and we can’t wait to celebrate your wedding with you next year!